Each Sunday, we begin the worship service with children and adults in the sanctuary together. After the first fifteen minutes, children are sung out to their Sunday School classes. Regularly throughout the year, there are special Multi-Generational worship services. These are fun, interactive, meaningful times for people of all ages to worship together. For more details, please see the worship calendar. Our thriving Sunday School Program is made up of over seventy children and youth and over thirty Sunday School teachers. It is one of the easiest and most rewarding ways to give back to the CUC community. On Sunday afternoons and weekday evenings, we offer adult religious education classes that offers rich opportunities for exploration and reflection throughout the church year. Sponsored by the Religious Education Committee, we are happy to offer numerous Family-Friendly Events throughout the year. These are special times for us to gather together with other families and friends in our congregation. We hope you will join us for some of these fun fellowship events. Please see the church calendar for more specifics about our upcoming events. 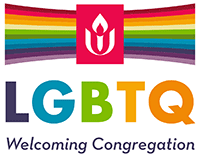 The Central Unitarian Church RE community is dedicated to inviting folks of all ages to give back to the greater community by giving time, resources, or energy. For our children many of these opportunities for service happen through the Sunday School Program.